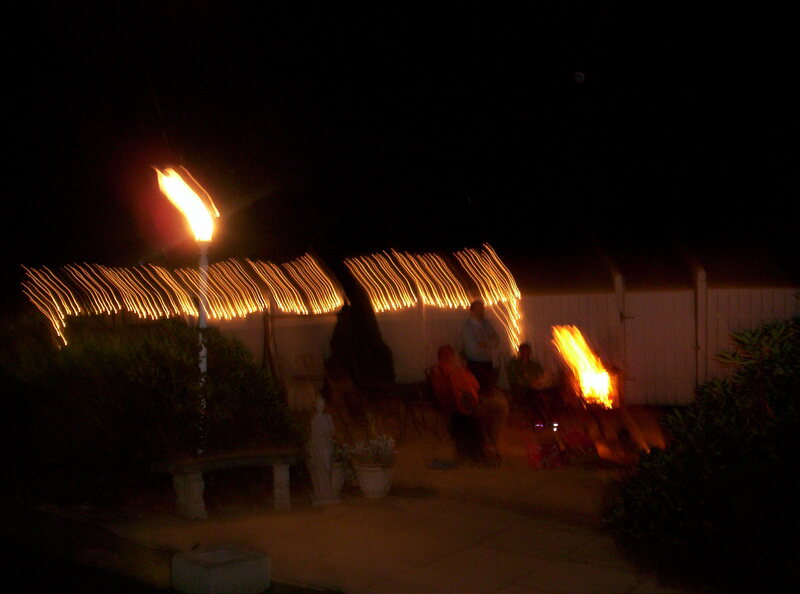 Last weekend we celebrated my parents 60th wedding anniversary which was held outdoors at our home on September 11 2010. It’s always a great time to have family and friends getting together and enjoying each other company and even better when we can celebrate 60 years of a couple being together for that amount of time, just think of all of the memories that they have collected over that time. Anyway the reason that I mentioned my parents 60th wedding anniversary is because it’s about love family and friends having a great time and enjoying each others company. Of course we are not the only ones at our parents 60th wedding anniversary party, as you know I have taken and continue to take many photographs, not only of family events but signs from our loved ones on the other side. Our loved ones who cross over to “heaven” are always close by and they to love to go to family events like the rest of us. I have taken many photographs at weddings and other family events in which our loved ones can and do let us know that they are very close to us and want us to know that they are close by. 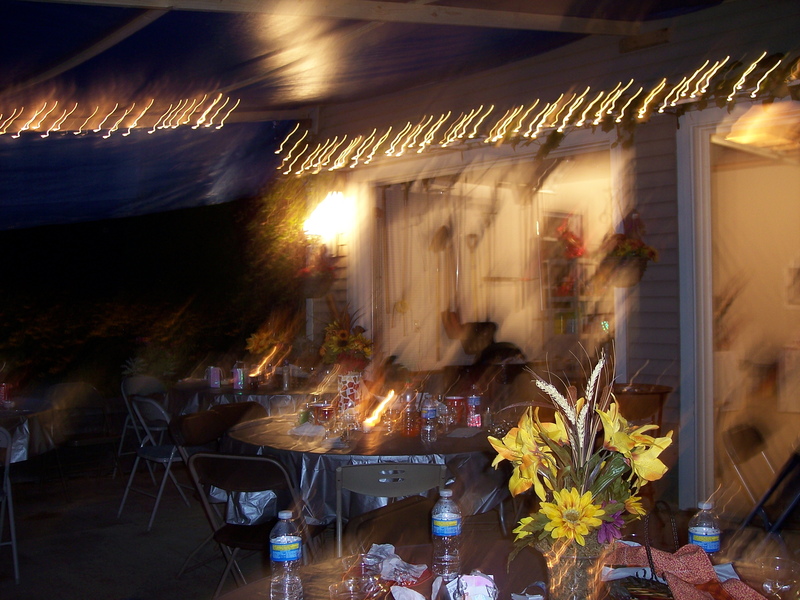 I would like to share 3 photographs that were taken at my parents 60th. I won’t upload any photographs which have a clear view of anyone at our anniversary party, of course for their privacy and I haven’t asked any of them for their okay, it’s something I may do so that I can display many other photographs with people and spirit activity. This first photograph at the top of this page was taken a couple of days before the party, my wife and I were setting thing’s up for the weekend party. 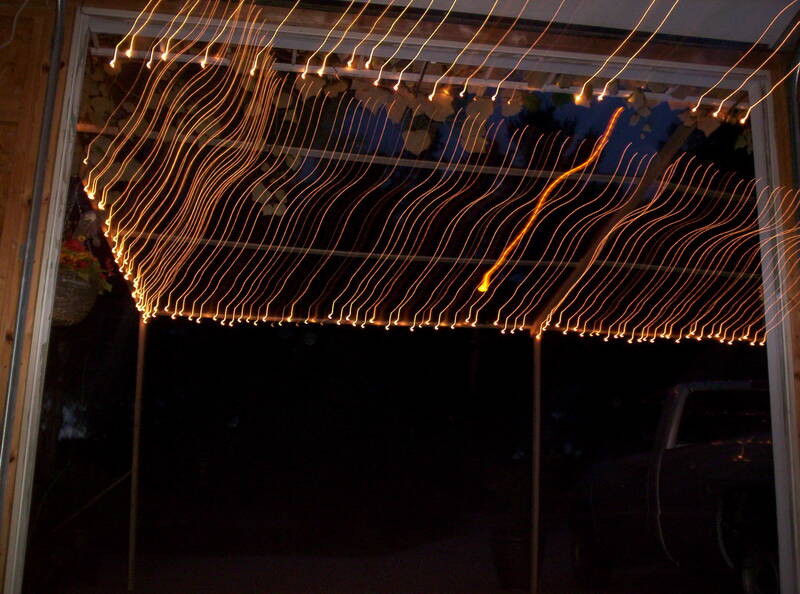 This photo shows the frame-work with lights which will have a canopy in case of rain, as you can see the tiny christmas tree lights were streaking. In the second photograph which was taken a little later in the evening. you can see very clearly the tables, chairs, water bottles and the heavy spirit activity that was happening under our homemade canopy. Our third photograph was taken near the end of my parents 60th wedding anniversary party. It was starting to cool off so we started a camp fire to stay warm, we sat and talked and of course we took a few photographs of which this in one of a few that were taken with spirit activity. They sure enjoy letting us know that they are near by, which is okay with me. Our loved ones who have crossed over to “heaven” are alway close by and they can and do give us signs that they are close by. So the next time that you have a family event or some type of gathering, try taking a few photographs, I mostly use night flash when taking any photographs, it seems to work the best. I also mostly use two digital cameras, but I have noticed that the inexpensive disposable cameras work well, especially at weddings. Remember Love is everything and nothing else matters.